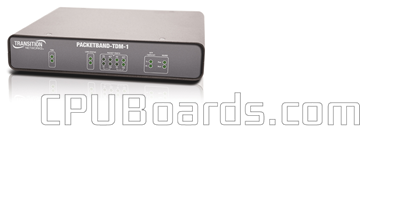 Transition Networks PB-TDM-1-48VDC Systems - Asymmetrical and Plesiochronous clocking. Includes Enhanced Clock, 32 logical links, serial control cable and DbManager Lite. 48 VDC Power.